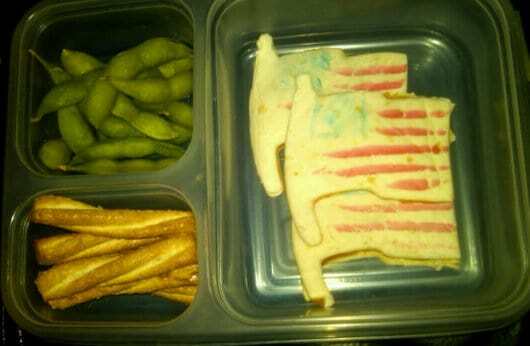 I make my son fun lunches so he forgets to tell me how much he hates school. Sometimes he gives me suggestions and sometimes I’m left to frantically search through the kitchen for a really fantastic lunch idea. 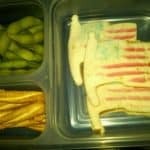 For the first lunch this week, I was frantically looking for a great idea. 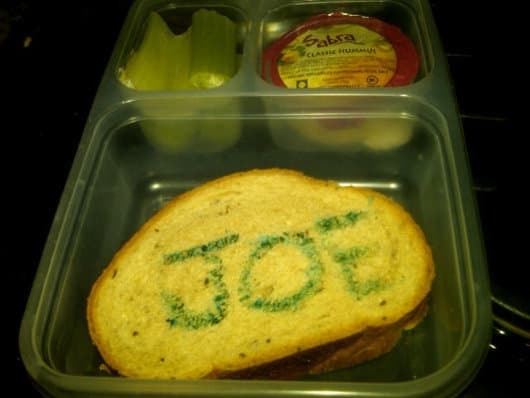 Coming up with nothing, I made him an almond butter and jelly sandwich, some celery and hummus. 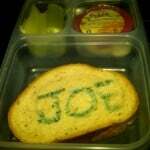 To make it fun, I wrote his name on the sandwich with Food Marker . At the end of the day, only the hummus was gone but I was happy to hear that he was having too much fun playing to eat and not that his lunch was booooooring.